You represent, warrant and agree that no materials of any kind submitted through your account or otherwise posted or shared by you through the Service will violate or infringe upon the rights of any third party, including copyright, trademark, privacy, publicity or other personal or proprietary rights; or contain libelous, defamatory or otherwise unlawful material. You further agree not to harvest or collect email addresses or other contact information of Users from the Service or the Site by electronic or other means for the purposes of sending unsolicited emails or other unsolicited communications. Additionally, you agree not to use automated scripts to collect information from the Service or the Site or for any other purpose. You further agree that you may not use the Service or the Site in any unlawful manner or in any other manner that could damage, disable, overburden or impair the Site. In addition, you agree not to use theService or the Site to:upload, post, transmit, share, store or otherwise make available any content that we deem to be harmful, threatening, unlawful, defamatory, infringing, abusive, inflammatory, harassing, vulgar, obscene, fraudulent, invasive of privacy or publicity rights, hateful, or racially, ethnically or otherwise objectionable; except where authorized by the Company, register for more than one User account, register for a User account on behalf of an individual other than yourself, operate a User account on behalf of or for the benefit of any person who is not eligible to register for or operate a User account in their own name, or register for a User account on behalf of any group or entity (other than approved investment accounts opened on behalf of legal entities or accounts opened for purposes of participating in our Small Business lending program);impersonate any person or entity, or falsely state or otherwise misrepresent yourself, your age or your affiliation with or authority to act on behalf of any person or entity; upload, post, transmit, share or otherwise make available any unsolicited or unauthorized advertising, solicitations, promotional materials, "junk mail," "spam," "chain letters," "pyramid schemes," or any other form of solicitation; upload, post, transmit, share, store or otherwise make publicly available on the Site any private information of any third party, including, without limitation, addresses, phone numbers, email addresses, Social Security numbers and credit card numbers; solicit personal information from any natural person under 18 or solicit passwords or personally identifying information for commercial or unlawful purposes from any User; upload, post, transmit, share or otherwise make available any material that contains software viruses or any other computer code, files or programs designed to interrupt, destroy or limit the functionality of any computer software or hardware or telecommunications equipment; intimidate or harass another User; upload, post, transmit, share, store or otherwise make available content that would constitute, encourage or provide instructions for a criminal offense, violate the rights of any party, or that would otherwise create liability or violate any local, state, national or international law; use or attempt to use another's account, service or system without authorization from that person and the Company, or create a false identity on the Service or the Site; or upload, post, transmit, share, store or otherwise make available content that, in the sole judgment of the Company, is objectionable or which restricts or inhibits any other person from using or enjoying the Site, or which may expose the Company or its Users to any harm or liability of any type. Any Disclosures will be provided to you electronically through the Site either on our Site or via electronic mail to the verified email address you provided. If you require paper copies of such Disclosures, you may write to us at the mailing address provided below and a paper copy will be sent to you at a cost of up to $10.00. A request for a paper copy of any Disclosure will not be considered a withdrawal of your consent to receive Disclosures electronically. Any IRS Forms provided electronically will remain accessible through at least October 15 of the year in which such IRS Form is made available; after that time the IRS Form may no longer be accessible electronically. We may discontinue electronic provision of Disclosures at any time in our sole discretion. Your consent to receive Disclosures and transact business electronically, and our agreement to do so, applies to any transactions to which such Disclosures relate, whether between you and the Company or between you and Our Affiliates. Your consent will remain in effect for so long as you are a User and, if you are no longer a User, will continue until such a time as all Disclosures relevant to transactions that occurred while you were a User have been made. Before you decide to do business electronically with the Company or Our Affiliates, you should consider whether you have the required hardware and software capabilities described below. I expressly consent to receiving calls and messages, including autodialed and prerecorded message calls, and SMS messages (including text messages) from us, our affiliates, agents and others calling at their request or on their behalf, at any telephone numbers that you have provided or may provide in the future (including any cellular telephone numbers). Your cellular or mobile telephone provider will charge you according to the type of plan you carry. If you are accessing our site and the Disclosures electronically via a mobile device (such as a smartphone, tablet, and the like), in addition to the above requirements you must make sure that you have software on your mobile device that allows you to print and save the Disclosures presented to you during the application process. These applications can be found for most mobile devices in the device's respective "app store". If you do not have these capabilities on your mobile device, please access our site through a device that provides these capabilities. You may not withdraw such consent as long as you have outstanding any investments made through the Site. If you have no outstanding investments made through the site and wish to withdraw consent to doing business electronically, we will terminate your registered user account with us. How to Contact Us regarding Electronic Disclosures. You can contact us via email at [email protected] You may also reach us in writing to us at the following address: SmartCapital Colorado, 1515 Walnut St., Suite 300, Boulder, CO 80302, Attention: Member Services. If you are an individual User, you will keep us informed of any change in your email or home mailing address so that you can continue to receive all Disclosures in a timely fashion. If your registered email address changes, you must notify us of the change by sending an email to [email protected] You also agree to update your registered residence address and telephone number on the Site if they change. If you are a business or entity User or are acting on behalf of a business or entity, you will keep us informed of any change to your email address, telephone number and primary business address, as discussed under "Terms Applicable to Business and Other Entity Users" below. You will print a copy of this Agreement for your records and you agree and acknowledge that you can access, receive and retain all Disclosures electronically sent via email or posted on the Site. In consideration of your use of the Site and the Service on behalf of a business or other entity member, you, individually and on behalf of such business or entity, agree to (a) provide accurate, current and complete information about the business or entity, yourself and any other principals and/or authorized representatives of the business or entity member as may be prompted by any registration forms on the Site or otherwise requested by the Company ("Business Registration Data"), including the business or entity's full legal name; (b) provide such materials as the Company may request to establish and/or verify your or any other person's identity or authority to enter into binding agreements on behalf of the business or entity, or to establish and/or verify the business or entity's legal existence, good standing in any jurisdiction and eligibility to use the Site or Service; (c) maintain the security of any password and identification issued for use by or on behalf of the business or entity; (d) maintain and promptly update the Business Registration Data, and any other information provided to the Company by you or anyone else acting on behalf of the business or entity, to keep it accurate, current and complete; (e) promptly notify the Company regarding any material changes to information or circumstances impacting the business or entity's legal existence, good standing in any jurisdiction in which the business or entity is authorized to conduct business, or eligibility for continued use of the Site or any Service; and (f) be fully responsible for all use of any accounts opened on behalf of the business or entity and for any actions that take place using such account. In addition to the User Representations set forth above under "User Representations," which you hereby confirm on behalf of the business or entity member, you further agree, both individually and on behalf of the business or entity, not to use the Service or the Site to: register for multiple User accounts on behalf of the same business or entity; operate or otherwise utilize an account opened in the name of a business or entity for the benefit of any persons other than that business or entity; operate or otherwise utilize an account opened in the name of a business or entity for any purpose prohibited by law or regulation, any activity which that business or entity is not duly authorized to conduct, or for any purpose prohibited by any other agreement between the business or entity and the Company or Our Affiliates; operate a User account on behalf of any business or entity with regard to which you are not an authorized person with the power to enter into binding agreements on behalf of the business or entity; communicate with any other User regarding the business or entity, or its business operations, other than anonymously and publicly via the Site, or upload, post, transmit, share or otherwise make available any information or informational material identifying the business or entity or its business operations (other than Business Registration Data provided to the Company or other information requested by the Company or otherwise necessary for your use of the Site or Service); and upload, post, transmit, share, store or otherwise make publicly available on the Site any private information regarding the business or entity, including, without limitation, addresses, phone numbers, email addresses, tax identification numbers and credit, or any personal information regarding persons associated with the business or entity (other than Business Registration Data provided to the Company). Furthermore, you represent and warrant and agree, both individually and on behalf of the business or entity, that:all email addresses provided on behalf of the business or entity are and will be used by the business or entity for business purposes; and you will not represent or portray the business or entity as being affiliated with the Company in any capacity other than being a User of the Site or Service without the Company's prior written consent. 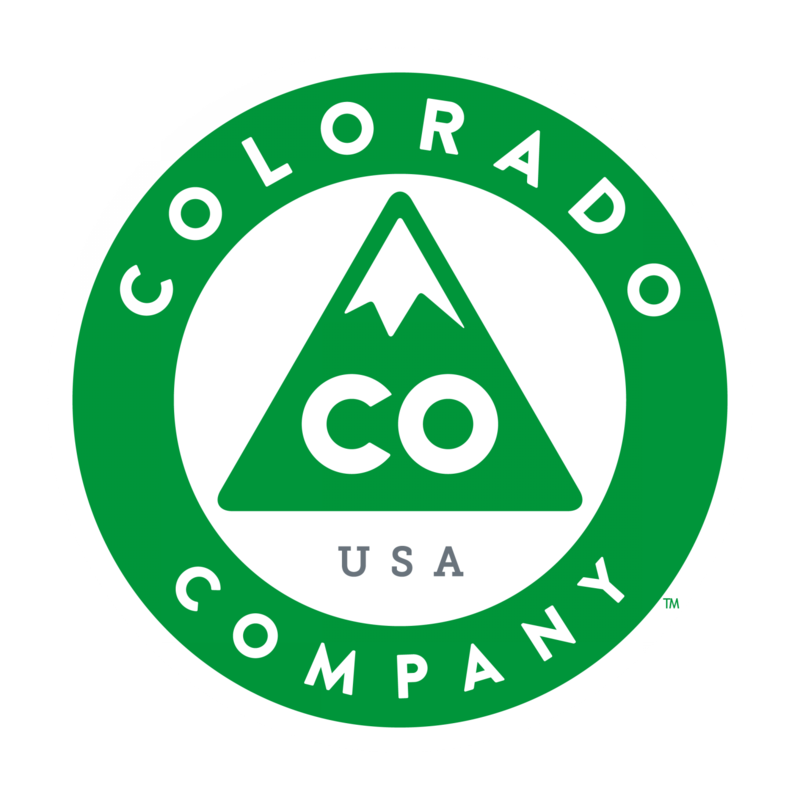 SmartCapital Colorado, Colorado Capital and other Company graphics, logos, designs, page headers, button icons, scripts and service names are or may be registered trademarks, trademarks or trade dress of the Company in the U.S. and/or other countries. The Company's trademarks and trade dress may not be used, including as part of trademarks and/or as part of domain names, in connection with any product or service in any manner that is likely to cause confusion and may not be copied, imitated, or used, in whole or in part, without the prior written permission of the Company. To meet the notice requirements under the Digital Millennium Copyright Act, the notification must be a written communication that includes the following: a physical or electronic signature of a person authorized to act on behalf of the owner of an exclusive right that is allegedly infringed; identification of the copyrighted work claimed to have been infringed, or, if multiple copyrighted works at a single online site are covered by a single notification, a representative list of such works at that site; identification of the material that is claimed to be infringing or to be the subject of infringing activity and that is to be removed or access to which is to be disabled, and information reasonably sufficient to permit us to locate the material;Information reasonably sufficient to permit us to contact the complaining party, such as an address, telephone number and, if available, an electronic mail address at which the complaining party may be contacted; a statement that the complaining party has a good-faith belief that use of the material in the manner complained of is not authorized by the copyright owner, its agent or the law; andA statement that the information in the notification is accurate, and under penalty of perjury, that the complaining party is authorized to act on behalf of the owner of an exclusive right that is allegedly infringed. In accordance with the Digital Millennium Copyright Act (DMCA) and other applicable law, the Company has adopted a policy of terminating, in appropriate circumstances and at the Company's sole discretion, the memberships of members who are deemed to be repeat infringers. The Company may also at its sole discretion limit access to the Site and/or terminate the memberships of any Users who infringe any intellectual property rights of others, whether or not there is any repeat infringement. The Company does not guarantee the accuracy of any User Content or Third Party Content. Although we provide rules for User conduct and postings, we do not control and are not responsible for what Users post on the Site and are not responsible for any offensive, inappropriate, obscene, unlawful or otherwise objectionable content you may encounter on the Site or in connection with any User Content or Third Party Content. The Company is not responsible for the conduct, whether online or offline, of any User of the Site or Service. The Company cannot guarantee and does not promise any specific results from use of the Site and/or the Service. The Site and the Service may be temporarily unavailable from time to time for maintenance or other reasons. The Company assumes no responsibility for any error, omission, interruption, deletion, defect, delay in operation or transmission, communications line failure, theft or destruction or unauthorized access to, or alteration of, User communications. The Company is not responsible for any problems or technical malfunction of any telephone network or lines, computer online systems, servers or providers, computer equipment, software, failure of email or players on account of technical problems or traffic congestion on the Internet or on the Site or combination thereof, including injury or damage to Users or to any other person's computer related to or resulting from participating or downloading materials in connection with the Web and/or in connection with the Service. Under no circumstances will the Company be responsible for any loss or damage, including any loss or damage to any User Content, financial damages or lost profits, loss of business, or personal injury or death, resulting from anyone's use of the Site or the Service, any User Content or Third Party Content posted on or through the Site or the Service or transmitted to Users, or any interactions between Users of the Site, whether online or offline. The Company reserves the right to change any and all content contained in the Site and any Services offered through the Site at any time without notice. Reference to any products, services, processes or other information, by trade name, trademark, manufacturer, supplier or otherwise does not constitute or imply endorsement, sponsorship or recommendation thereof, or any affiliation therewith, by the Company. EXCEPT IN JURISDICTIONS WHERE SUCH PROVISIONS ARE RESTRICTED AND EXCEPT AS PROVIDED ABOVE IN THE SECTION TITLED, "SECURITIES MATTERS", IN NO EVENT WILL THE COMPANY OR ITS DIRECTORS, EMPLOYEES OR AGENTS BE LIABLE TO YOU OR ANY THIRD PARTY FOR ANY INDIRECT, CONSEQUENTIAL, EXEMPLARY, INCIDENTAL, SPECIAL OR PUNITIVE DAMAGES, INCLUDING FOR ANY LOST PROFITS OR LOST DATA ARISING FROM YOUR USE OF THE SITE OR THE SERVICE OR ANY OF THE SITE CONTENT OR OTHER MATERIALS ON OR ACCESSED THROUGH THE SITE, EVEN IF THE COMPANY IS AWARE OR HAS BEEN ADVISED OF THE POSSIBILITY OF SUCH DAMAGES. NOTWITHSTANDING ANYTHING TO THE CONTRARY CONTAINED HEREIN EXCEPT AS PROVIDED ABOVE IN THE SECTION TITLED, "SECURITIES MATTERS", TO THE EXTENT PERMITTED BY APPLICABLE LAW THE COMPANY'S LIABILITY TO YOU FOR ANY CAUSE WHATSOEVER, AND REGARDLESS OF THE FORM OF THE ACTION, WILL AT ALL TIMES BE LIMITED TO THE AMOUNT PAID, IF ANY, BY YOU TO THE COMPANY FOR THE SERVICE DURING THE TERM OF MEMBERSHIP. IN NO CASE, EXCEPT AS PROVIDED ABOVE IN THE SECTION TITLED, "SECURITIES MATTERS", WILL THE COMPANY'S LIABILITY TO YOU EXCEED $1000. YOU ACKNOWLEDGE THAT IF NO FEES ARE PAID TO THE COMPANY FOR THE SERVICE, YOU SHALL BE LIMITED TO INJUNCTIVE RELIEF ONLY, UNLESS OTHERWISE PERMITTED BY LAW, AND SHALL NOT BE ENTITLED TO DAMAGES OF ANY KIND FROM THE COMPANY, REGARDLESS OF THE CAUSE OF ACTION. IN ADDITION TO THE SPECIFIC SECURITIES LAWS PROVISIONS DESCRIBED ABOVE IN THE SECTION TITLED, "SECURITIES MATTERS", CERTAIN FEDERAL AND STATE LAWS DO NOT ALLOW THE EXCLUSION OR LIMITATION OF CERTAIN DAMAGES OR LIMITATIONS ON IMPLIED WARRANTIES. IF THESE LAWS APPLY TO YOU, SOME OR ALL OF THE ABOVE DISCLAIMERS, EXCLUSIONS OR LIMITATIONS MAY NOT APPLY TO YOU,AND YOU MAY HAVE ADDITIONAL RIGHTS.